iSCSI Initiator are at the client end utility which we use to authenticated with iSCSI target servers to access the LUNs shared from target server. We can deploy any kind of Operating systems in those locally mounted Disks, just a single package need to be install to get authenticate with target server. Before that we should have iSCSI Lun or Volume to be provided from iSCSI Storage target. Lets assume that we had configured already iSCSI Target Server, if not please go through our other document to install and configure iSCSI Target server. 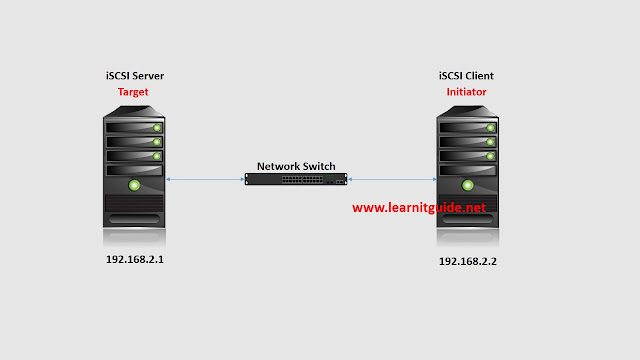 So we require iscsi-initiator-utils packages to be installed on the client where we are going to access or mount the iSCSI lun or Volume from iSCSI storage server to the client. You will see the output of IQN number. Select the iqn number which one you need to access or mount. Step 4 : # Run dmesg, fdisk -l or log messages to get the device name for the new device. (e.g. /dev/sdb). If you are able to see the new disk device, then you are done with the scanning the new lun device. Just go for creating new partition and mount the volume as per the requirement.